They’re fast. They’re flavorful. And they’re right at your fingertips. 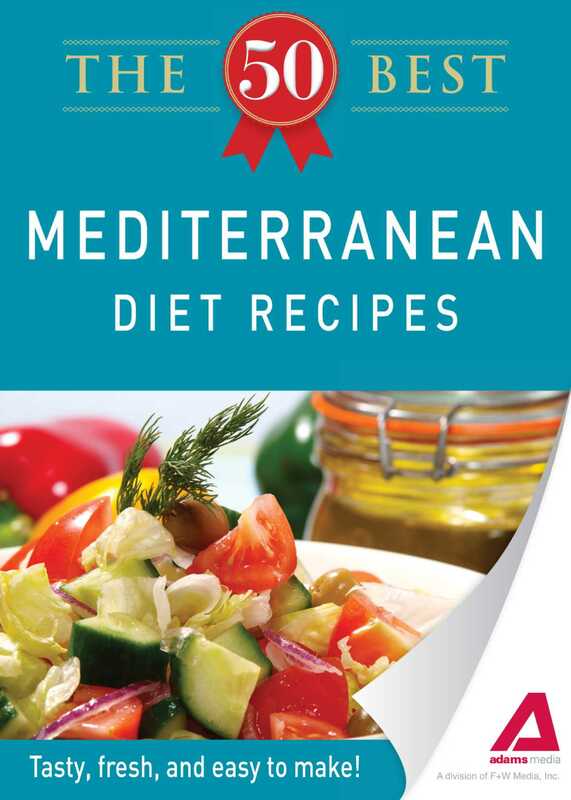 The 50 Best Mediterranean Diet Recipes is an appetizing selection of delicious dishes that will help you lose weight without sacrificing taste. From Chickpea Rissoles to Braised Beef with Onions, there’s plenty included so you can whip up satisfying and tasty snacks and meals. Enjoy! They’re fast. They’re flavorful. And they’re right at your fingertips. The 50 Best Mediterranean Diet Recipes is an appetizing selection of delicious dishes that will help you lose weight without sacrificing taste. From Chickpea Rissoles to Braised Beef with Onions, there’s plenty included so you can whip up satisfying and tasty snacks and meals. Enjoy!